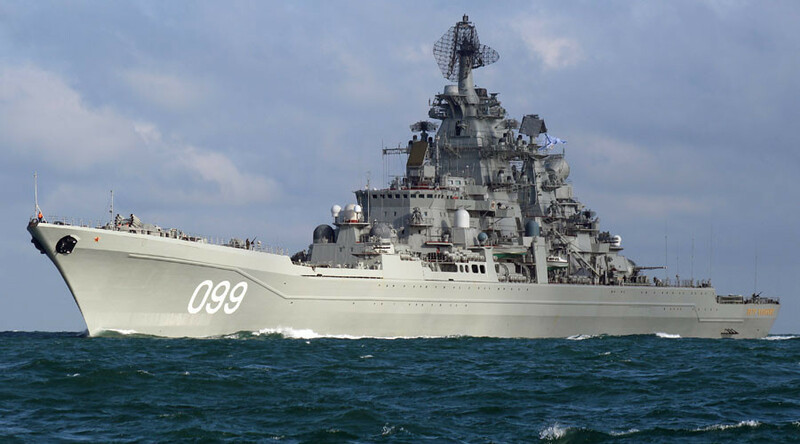 An agreement signed by Russia and Syria stipulates that up to eleven Russian warships will be able to dock in the Syrian port of Tartus at any one time. The move is designed to boost defense capabilities, the document states. “The maximum number of the Russian warships allowed at the Russian naval facility at one time is 11, including nuclear-powered warships, providing that nuclear and ecological security rules are observed,” the agreement says. The agreement has been signed for 49 years and could be prolonged by 25 more years if both sides agree. “The Syrian Arab Republic gives consent to the Russian Federation to expand the territory of its naval facility and upgrade its infrastructure to conduct repair works, restock supplies and give crews time for rest,” the document says, adding that the use of the naval facility will be free of charge. Under the agreement, signed on Wednesday and made public on Friday, Russian warships will be allowed to enter the port after an appropriate Syrian body has been notified, not later than 12 hours before the planned entry. According to a protocol signed on Wednesday and released on Friday, Russia has also been given the right to use the Syrian Khmeimim Air Base in the Latakia province free of charge. “The Syrian side gives the Russian side a part of the Khmeimim airbase territory to locate the Russian air group there for the duration of the agreement and the protocol, according to attachment documents 1 and 2,” the agreement says.